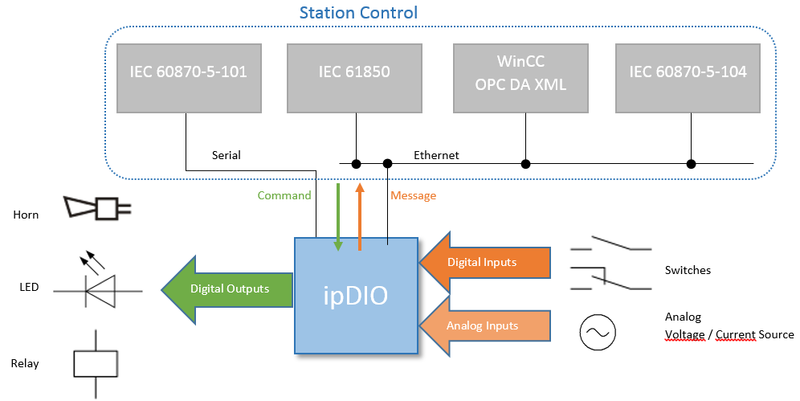 ipDIO is a telecontrol communication device to record digital and analog inputs and to control digital outputs. This high-performance I/O module offers a variety of supported telecontrol protocols. 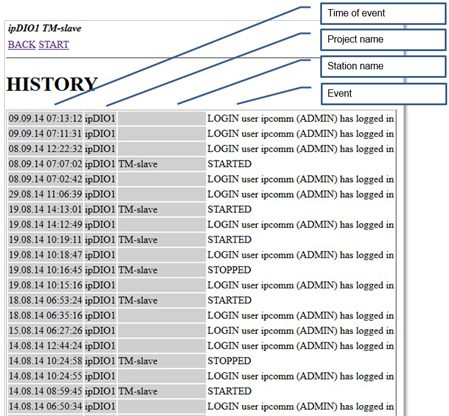 That is why ipDIO can be implemented into each individually designed telecontrol environment. According to requirements digital or analog information of any device, switch, counter or sensor are recorded or controlled spontaneously or at certain intervals down to millisecond range. ipDIO with its many different interfaces is connected to particular fieldbus systems almost directly or using adapters. Multiple connections, the combination of different protocols and redundant communication paths are self-evident. The pure value of a data point can be transferred or processed along with the attributes quality and time stamp (protocol dependent). The most important telecontrol protocols are supported to ensure an easy integration into existing telecontrol system. Any combination of the supported protocols enables the realisation of very complex network structures. 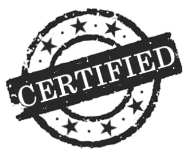 As an integral part of the certification procedure OPC UA 1.02, Server was tested in a workshop carried out by the OPC Foundation® with OPC UA clients of many other vendors such as Siemens® - Simatic WinCC V7.4, OPC Labs - QuickOPC 5.36, Unified Automation - ANSI C based OPC UA Client SDK 1.5.1. etc. ipDIO records and reflects switching states, serves as a visualization-, monitoring-, logging- and alarm reporting system and assumes control and regulation tasks. The digital outputs are controlled by the digital inputs of a second ipDIO. In this way, switching signals between two locations are transferred. Reading of network element variables such as routers, switches, servers, printers, etc. All information of interest can be recorded over a period of several weeks, depending on the amount of data. The major communication standards are supported to ensure a simple integration into existing telecontrol engineering. Their configuration is easily carried out via the Ethernet interface using an integrated web server. A number of templates for protocols as well as functions are available for even easier configuration. The DIAGNOSTICS function shows individual status information of the system during runtime. 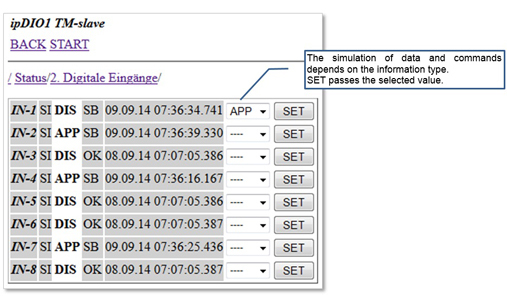 What information is displayed here depends on the system's configuration, e.g. the configured modules. The SIMULATION function shows all data points in a hierarchical form defined by the configuration. The templates already provide data points to be simulated. The simulation is particularly useful for signal tests during commissioning. This greatly facilitates tracking down of wiring and configuration errors. 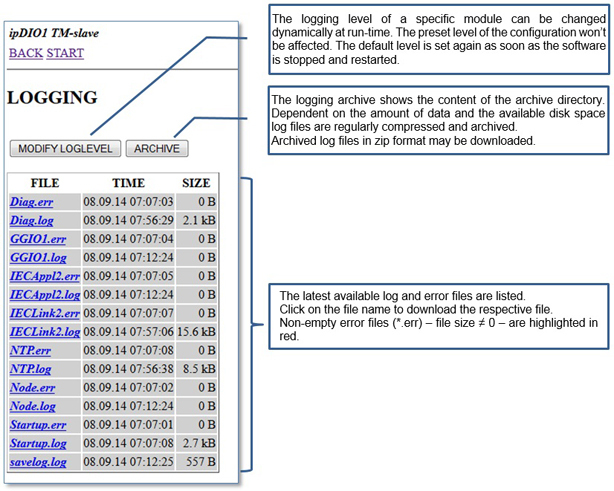 The function LOGGING provides access to the current and archived log and error files. Log files contain occurred errors, warnings and important status messages. 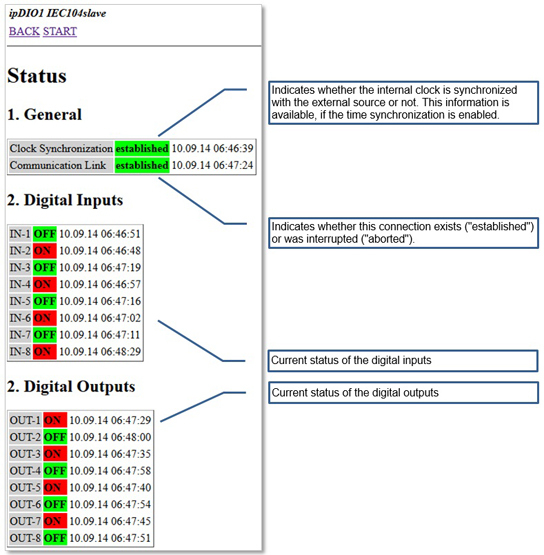 The ipDIO modules (protocols, functions) deliver runtime and status information. The HISTORY function documents the user login and when the software was started or stopped. If the software has stopped because of an error the corresponding entry contains error information like error type or in which module the error occurred. The I/O level is connected via two pluggable screw terminal blocks. LED's at the front of the compact housing indicate the system information (power, CPU). Diagnosis LED's show the signal states of the I/O level (only digital variant).